Shown with a Crosley "Musicone" speaker. 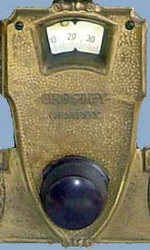 One of the most popular and long-running radio programs of all time. 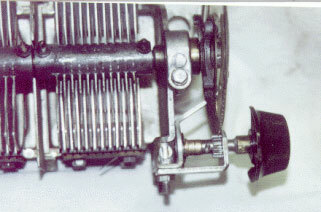 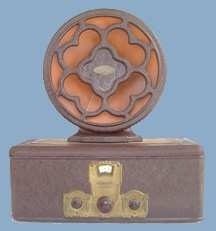 It helped the advancement of commercial radio and the sale of a lot of radios. 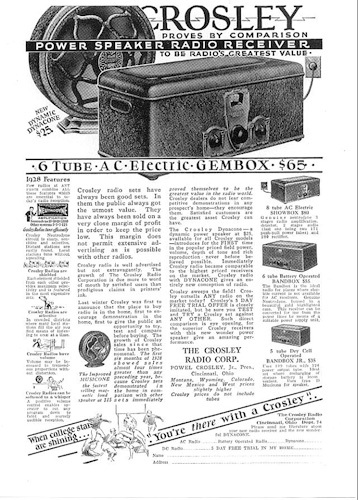 _ At last, an easy to use radio with a "single dial" tuner that runs on AC power (no more batteries) and the horn speaker has been replaced with a cone speaker for better fidelity. 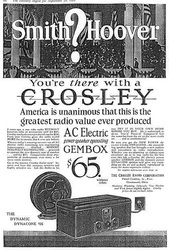 In 1920, Powel Crosley (1886-1961) set out to produce an affordable radio and went on to build one of the most successful electronics companies of the early 20th century, earning him the reputation "The Henry Ford of Radio". 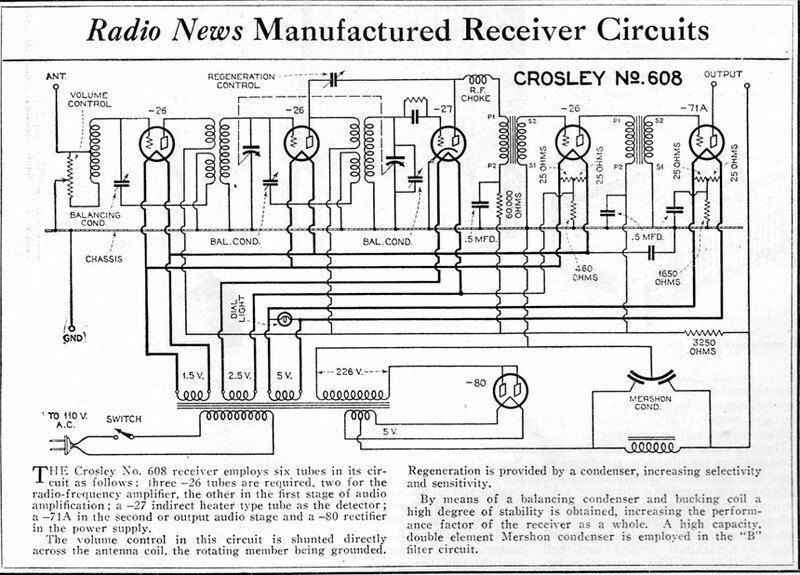 In 1922 Crosley started radio station WLW, which, in 1934, would become the most powerful station in the country (500,000 watts). 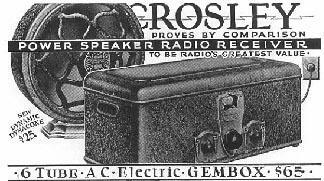 In 1935 Crosley introduced the "Roamio", the first car radio. 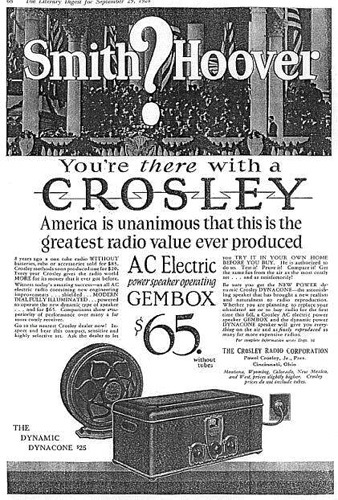 The Crosley corporation is still in business making appliances and reproduction antique radios and phonographs, visit them at www.crosley.com.